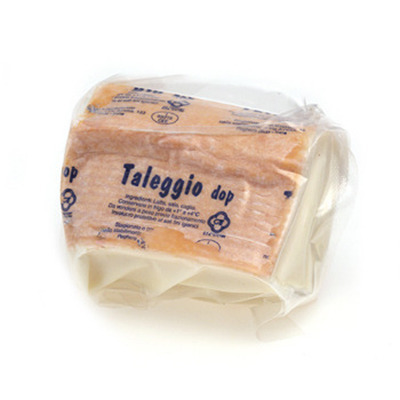 Taleggio - cow's milk soft stinky cheese DOP, cut cheese - 1 oz/454 gr, Italy. The softest, creamiest member of the famous Italian Stracchino cheeses, Taleggio was first made in the valley of the same name, located in the historic province of Bergamo. Taleggio made its debut in the international cheese markets after World War I, around the same time as its cousin Bel Paese. Its rough, rosy crust (inedible), pale yellow interior, and rich, buttery, fruity, and slightly salty flavor are what give Taleggio its individuality. 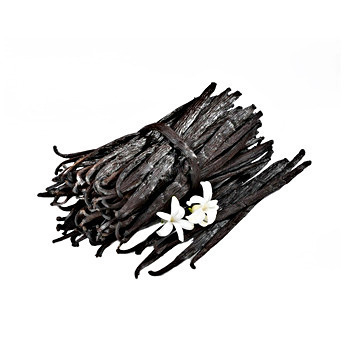 Taleggio's soft, incredibly flavorful interior is creamy in texture and has a pungent aroma. The cheese imparts the essence of the Italian countryside. Appropriate wines: Goes with a young red from Northern Italy like Valpolicella and Bardolino or a Beaujolais (Gamay). Compliments: This gourmet cheese goes well sliced and added to hot dishes.